They named their upcoming event there as "Zennovation" with a morphing camera module and an eye of an owl as related to the Zen in their products thru one of their official tweets. Honestly, what I am guessing that might be there is the upcoming Asus Zenfone 3 Zoom that was spotted recently via TENAA. So far, they only posted the date at January 4 but the time will be the key if we will gonna see the possible livestream at the following day here in Manila but expect an update. Update as of Dec. 22, 2016: Based on this Asus Philippines FB page video, the event will happen at January 4 at 11:30 am PST (so it converts to January 5, 2015 at 3:30 am Manila time). 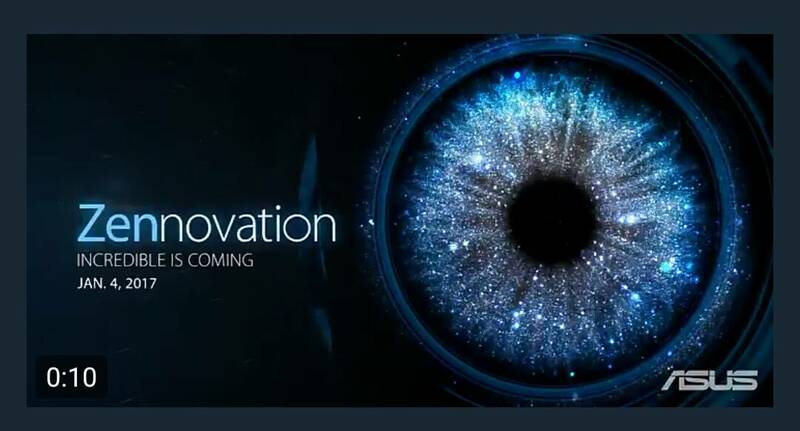 If you will gonna take a closer look, they are teasing for 2 new possible Zenfones.